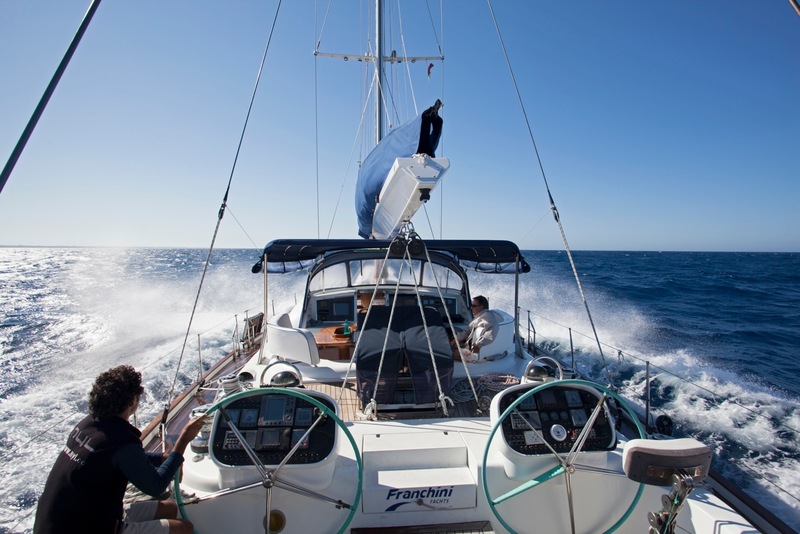 Sailing yacht ROMEO & Co is a Franchini 75ft charter yacht that combines the technical characteristics of a fast performance yacht with the elegance and comfort of a cruising boat. 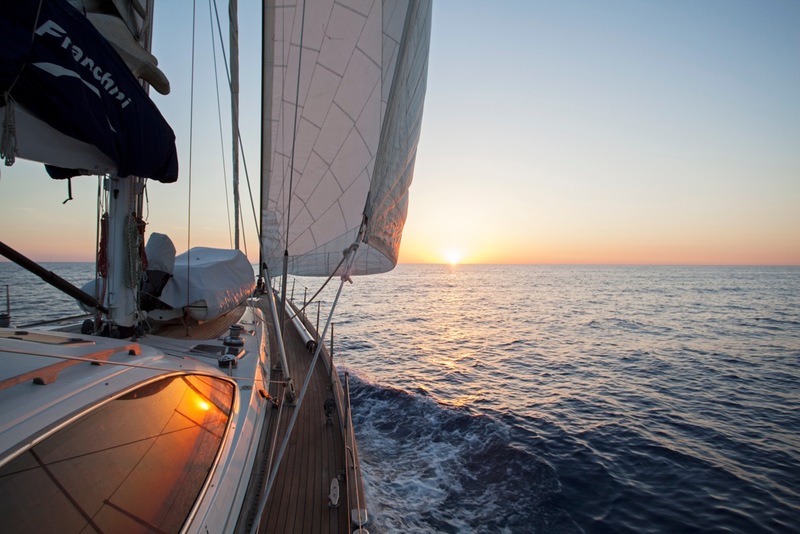 S/Y ROMEO & Co is based in the Eastern Mediterranean, available for charter in Greece, Croatia and Turkey. 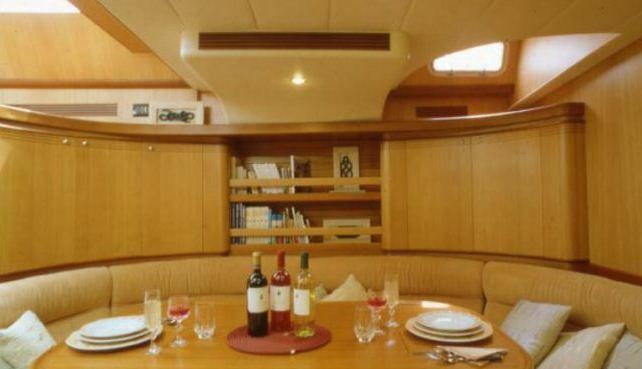 She can accommodate 6 charter guests in 3 double cabins with private ensuite facilities. 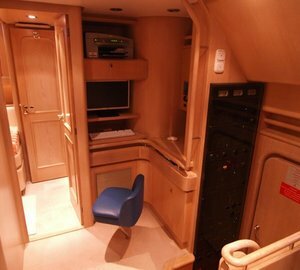 Franchini 75 sailing yacht ROMEO & Co boasts a stylish interior salon, all in light wood. The pilothouse features large windows and a comfortable lounge and the lower salon features another u shaped settee and dining table. 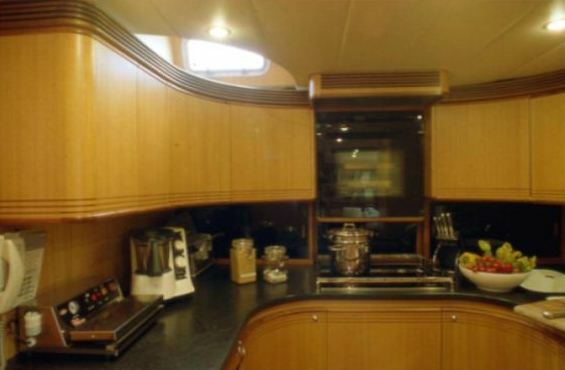 The dining area leads to the fully equipped kitchen and the crew area. 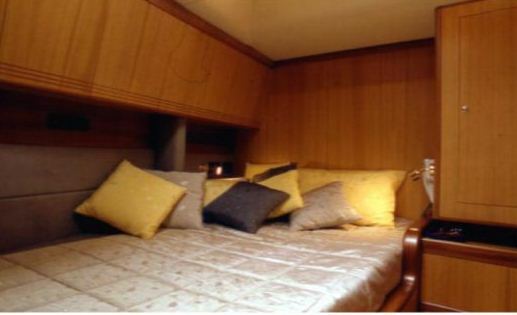 The sleeping area for charter guests is located towards the bow, and can be accessed from the deck house. 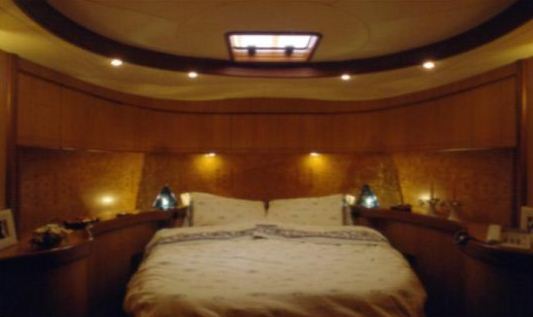 The accommodation for 6 consists of a large master cabin with double open on three sides and surrounded by support surface around which acts as a bedside table. The other two cabins have a double bed with windows on two sides. Each cabin has a private bathroom with shower, toilet and washbasin. 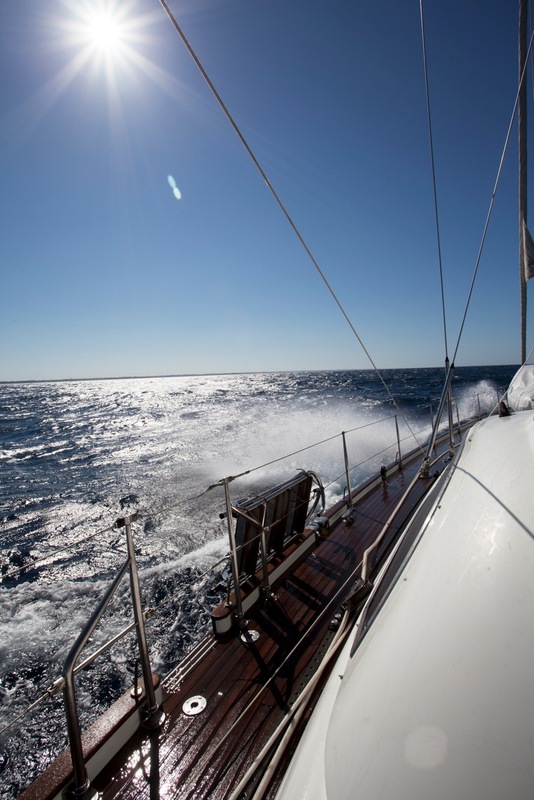 On deck, the ROMEO & Co sailing yacht has twin helms located aft, leaving the central cockpit for guests to enjoy cruising or al fresco dining under the canopy. The guest cockpit has two independent tables that allow free passage for easy access to the deck. 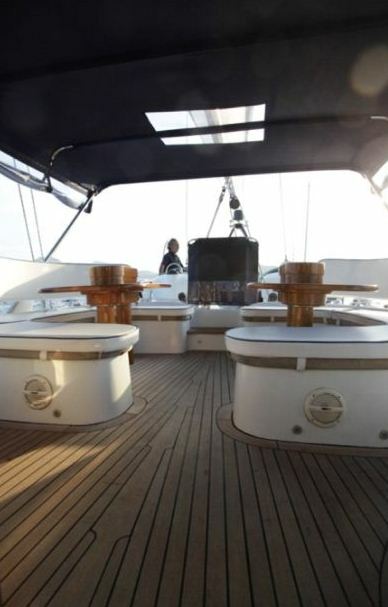 The foredeck is very spacious and comfortable to manoeuvre at sea or at anchor gives you plenty of space for sunbathing. 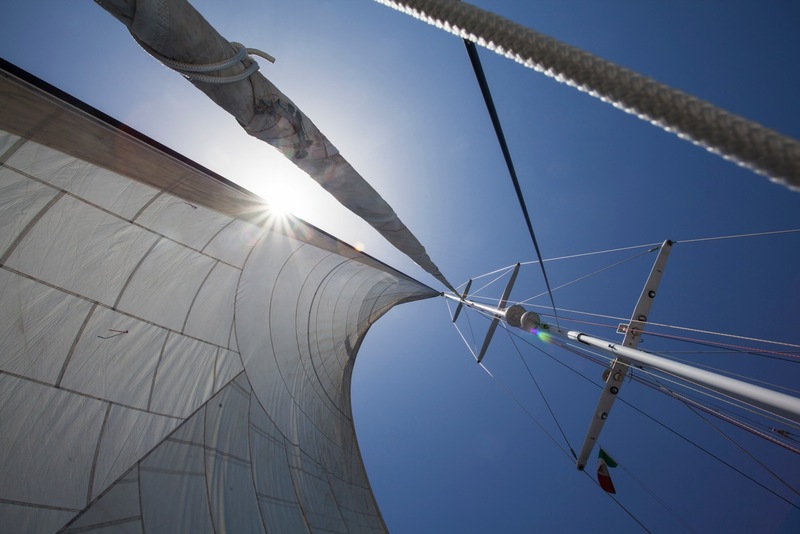 Sail yacht ROMEO & Co has a crew of 3 and is based in Cotfu, Greece, available for charter in all Eastern Mediterranean destinations on request. The Franchini 75 yacht ROMEO & Co is able to sleep up to 6 charter guests in 3 cabins including a master cabin with double open on three sides and surrounded by support surface around which acts as a bedside table. The other two cabins have a double bed with windows on two sides. Each cabin has a private bathroom with shower, toilet and washbasin.